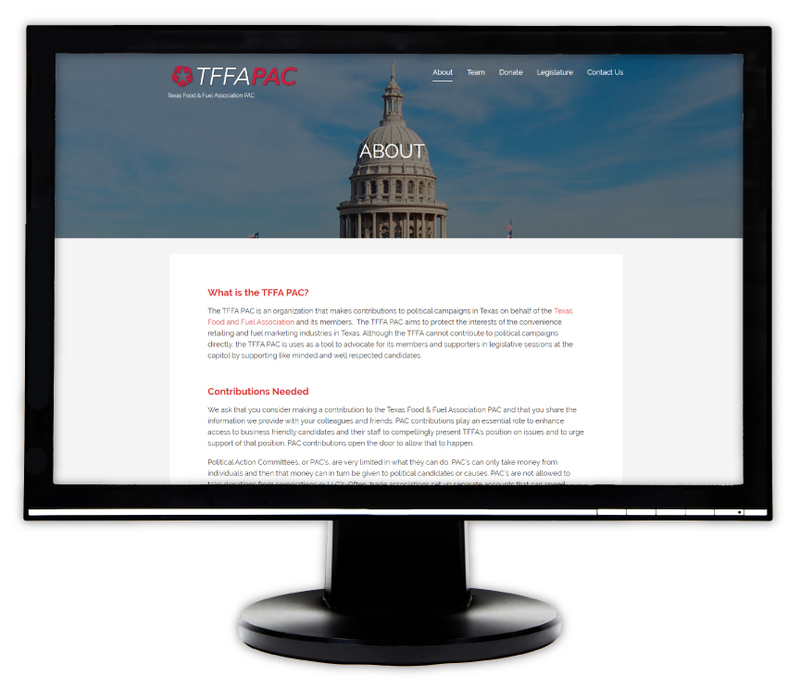 TFFA is excited to announce it has launched a website dedicated solely to the advancement of it’s Political Action Committee (PAC). The PAC website (www.tffapac.com) will serve as a platform to educate members, elected officials, and website viewers on issues that are important to TFFA. We encourage TFFA members to go online and make a donation. No amount is too small, or too big! PAC contributions are a powerful tool that open the doors for TFFA to access business-friendly and like-minded legislators who can impact the convenience retailing and fuel marketing industries for years to come.